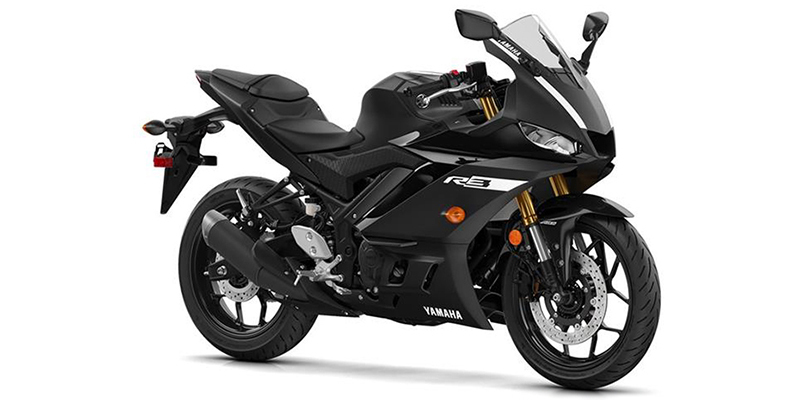 R WORLD IS CALLING - LEGENDARY SUPERBIKE STYLING, ADVANCED TWIN CYLINDER ENGINE AND ULTRA-LIGHT CHASSIS MAKE IT THE BIKE OF CHOICE! 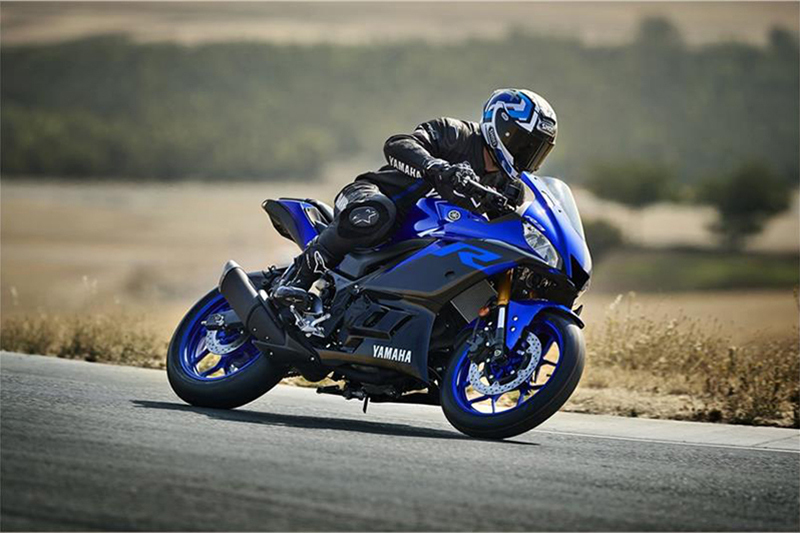 Power is provided by a 4-Stroke, 321cc, Liquid cooled, DOHC, Parallel Twin engine with Electric starter. 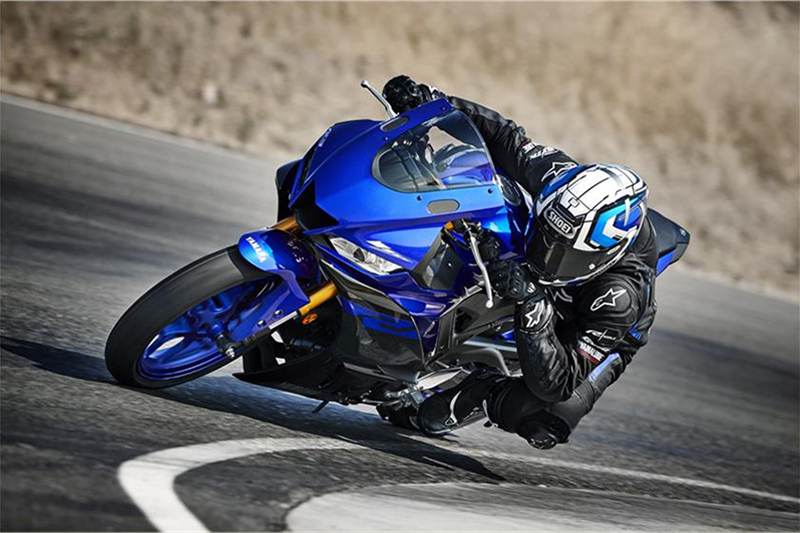 The engine is paired with a 6-Speed transmission and total fuel capacity is 3.7 gallons. 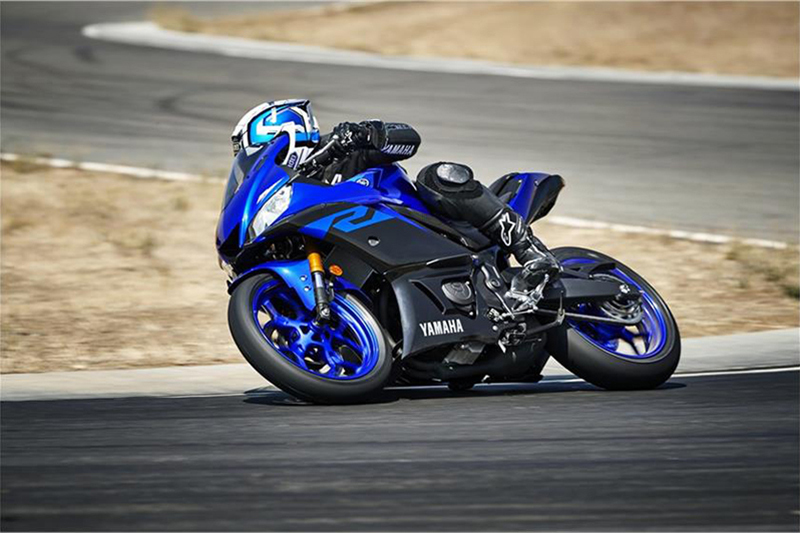 The YZF R3 rides on Aluminum wheels with a Dunlop Sportmax GRP-300 110/70 17 front tire and Dunlop Sportmax GRP-300 140/70 17 rear tire. 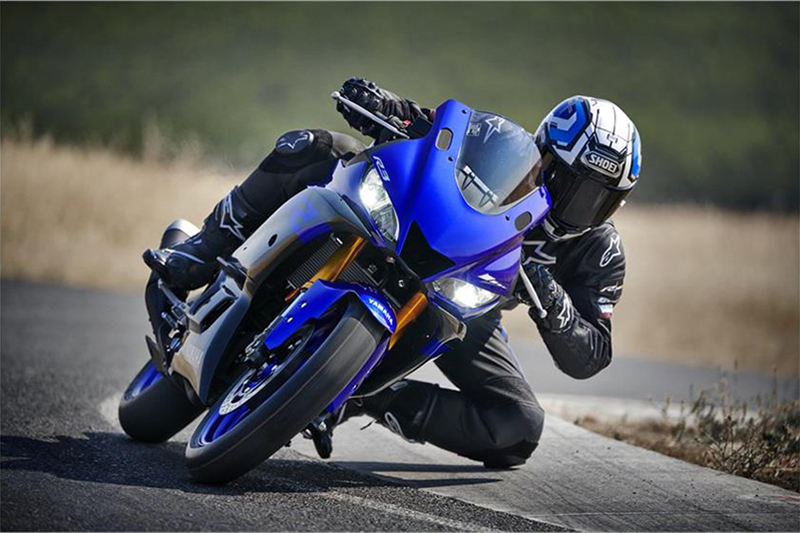 The front suspension is an Inverted Fork while the rear suspension is a Twin Sided Swing Arm. Front Hydraulic Disc brakes and rear Hydraulic Disc brakes provide stopping power. 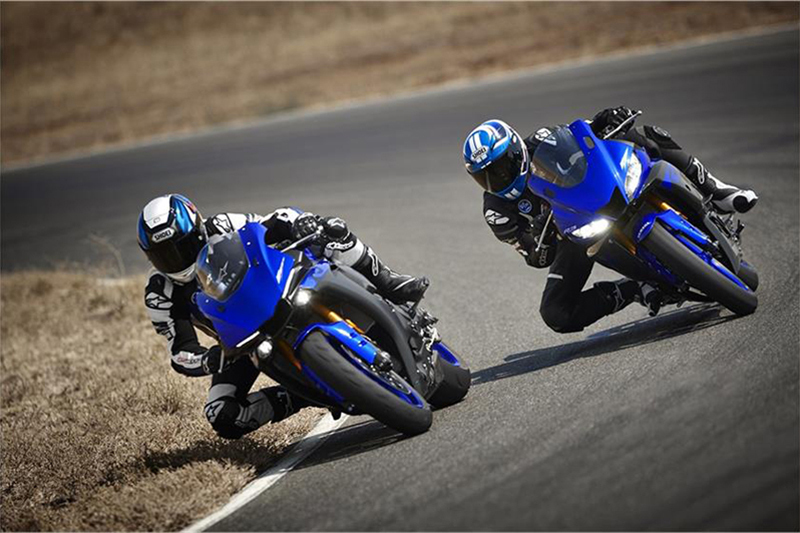 The YZF R3 comes standard with a Two-Piece, 2-passenger seat.